Hello, my name is Ian Firkins and I am a very ordinary angler. If there was a school report for fishing, mine would read "tries hard, could do better"! 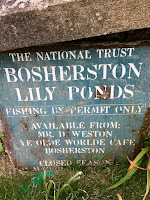 See below my attempts to catch big fish (well, any fish!) of various species from the rivers Trent, Derwent, Dove and Soar. This week we had a family gathering down in Pembrokeshire to coincide with what would have been my dad's 80th birthday and to re-visit a place that held many happy memories for us - Bosherston Lily Ponds. 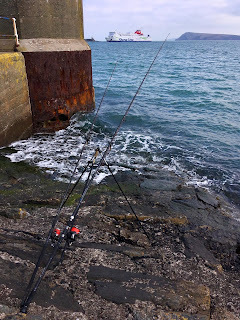 Fishing of some description was always going to be on the agenda while we were here, so early on Monday morning I dragged my lad out of bed to catch slack water at Hobbs Point, stopping off at Tesco at Pembroke Dock to grab some raw prawns for bait. Dropping a mini-two hook flapper down the side of the wall he had a small pollack before I'd tackled up the second rod. 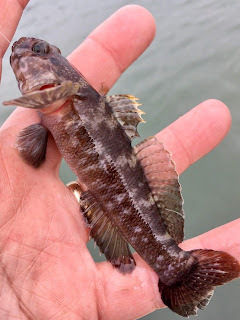 Our fishing window was only short due to the tides, but when it started to ebb less than an hour later, we'd had a couple more pollack and several greedy rock gobies between us. 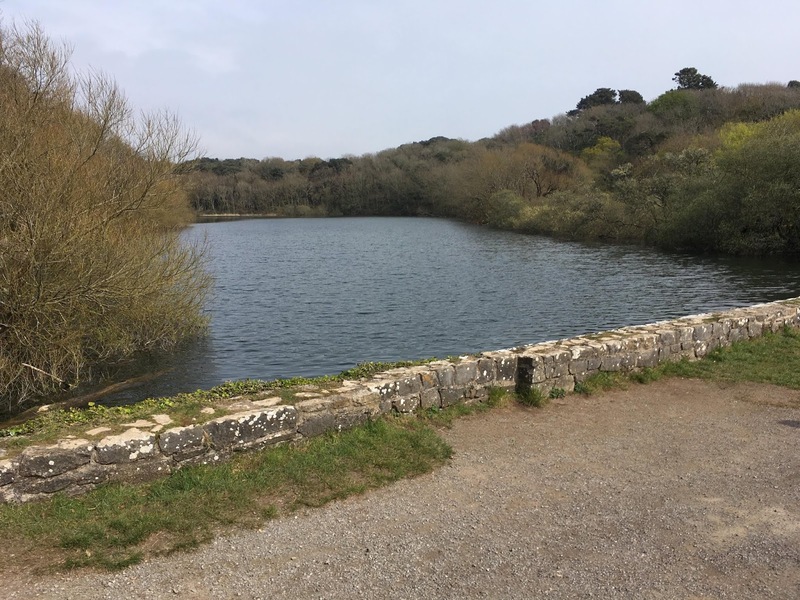 The following day the family all headed down to the "grassy bridge" at Bosherston, the scene of many autumn pike fishing expeditions during the late 70's and 80's, when a small part of Pembrokeshire would be temporarily annexed by a load of Brummies! 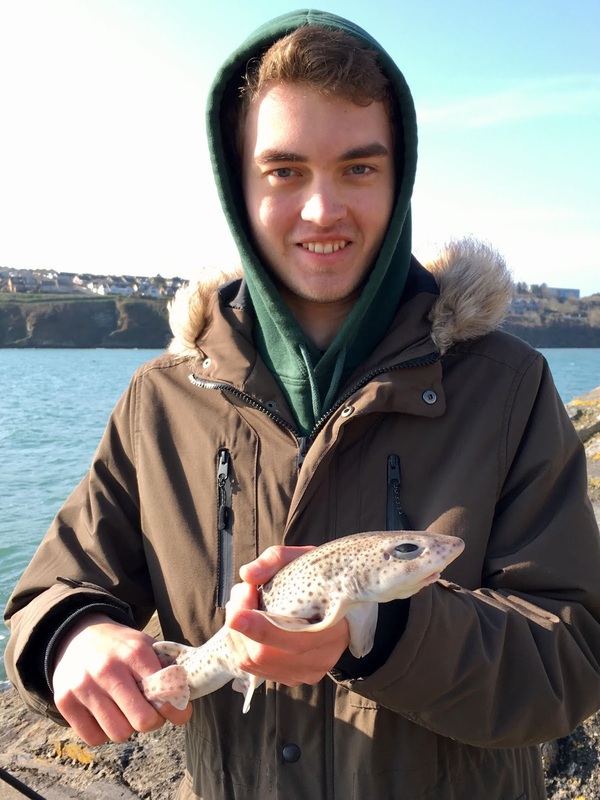 Despite our initial ineptitude and crude tackle, we always caught lots of pike up to mid-doubles, together with the occasional big eel that ended up in the frying pan (different times). 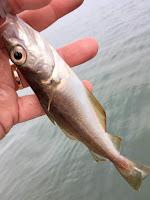 There were bigger specimens there without doubt, including a high twenty that went home with it's captor in a black bin bag after he'd come and scabbed some roach off us for livebaits. However, they managed to elude us despite our tackle and methods becoming more refined over the years. As I've mentioned before in a previous post, I don't remember dad actually doing much fishing himself. Instead he'd be tackling and baiting everybody else up, dealing with the inevitable tangles, brewing tea, making bacon butties and then packing and tidying up. However, that was him all over - as happy helping as doing. 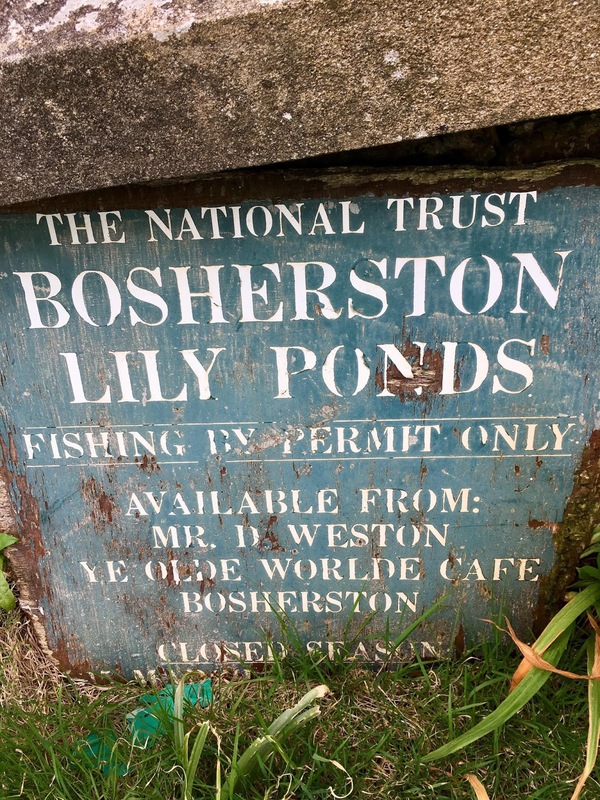 Bosherston nowadays is probably better known for the photogenic qualities of its resident population of otters than its fishing, but it was a fitting place to pause, reflect and remember. The next morning my brother, my lad and I headed up to the North coast to Fishguard for a boys' fishing trip. 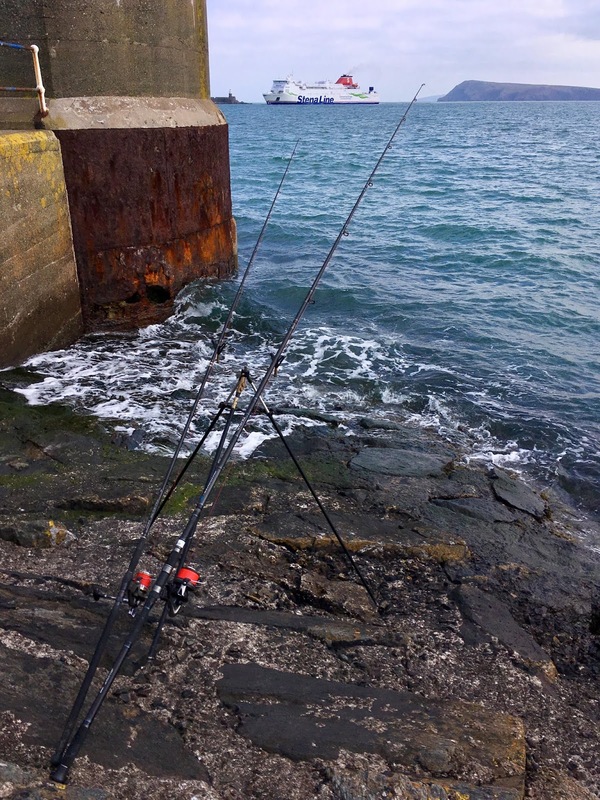 Set up at the end of the inner breakwater to fish the two hours up to high tide. 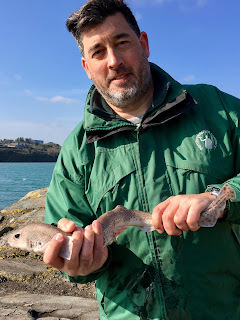 Had taken a variety of kit, including the LRF rods but, as it was quite windy and very weedy close in, we settled on taking turns with the bait rods. Choice of bait at the local garage had been limited to frozen squid or mackerel, so a pulley pennel rig was baited up with a squid/mackerel wrap and a two hook flapper baited with squid and mackerel strips. 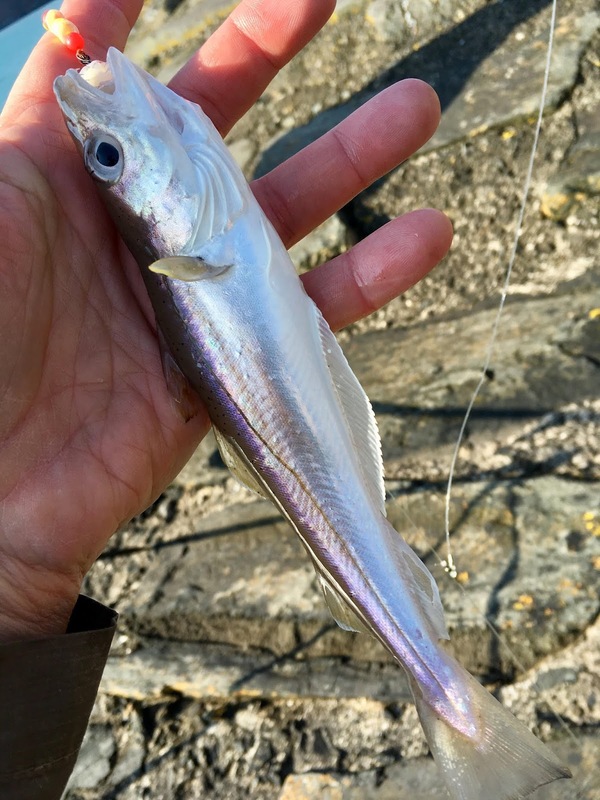 The rod with the pennel rig on had only been out a couple of minutes when there was good pull down and a slack line bite, resulting in a small dogfish for the lad. Before I'd had chance to re-bait, the other rod started nodding away and was eagerly jumped on by my brother. Unfortunately for him, this turned out to be a small whiting instead! Luckily there were a few more fish about, so I was kept busy re-baiting for my "clients". By the time it got to slack water, we'd all had a couple of doggies each, with a few whiting thrown in for good measure. Main thing was that we'd spent some quality time together and had a few laughs. Hopefully there'll be many more to come. A woolly jumper in a bit of a predicament!